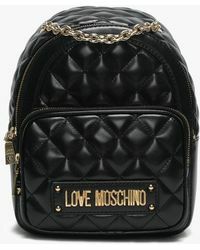 The diffusion line formerly know as Moschino Jeans, Love Moschino is the younger line of the iconic Italian label that sees the brand take on a young, playful and totally irreverent approach to its own high fashion designs, channeling its signature aesthetic into a selection of more affordable pieces. 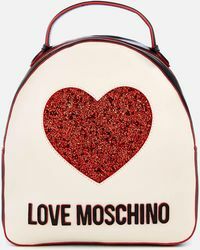 Look no further than its selection of backpacks for a series of eye-catching and overly covetable statement accessories that demand immediate fashion credits. 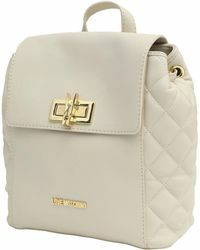 Miniature 90s inspired styles come in quilted leather in vibrant shades, preppy leather styles are finished with gold detailing and tassles, while statement prints adorn the rest.